The Solstice marks the change of the season, with the Sun’s entrance into the sign of Cancer on June 21, 2015 initiating Summer in the Northern Hemisphere and Winter in the Southern Hemisphere. We can also interpret the chart drawn for this solstice moment of the Sun entering Cancer and glean messages for the coming season and year ahead. There is an intriguing link between the chart of this solstice and our last solstice that occurred on December 21, 2014 in the form of Saturn, as at that previous solstice Saturn was at 29°49′ of Scorpio and preparing to enter the sign of Sagittarius, and at this solstice Saturn is retrograde at 29°35′ of Scorpio having recently left the sign of Sagittarius. In fact, Saturn’s time in Scorpio marks this next season, as when we reach the upcoming Libra Equinox in September, Saturn will have freshly returned to Sagittarius. The Moon of this Cancer Solstice reflects the solar light of the Sun in the form of a waxing Crescent Moon in the sign of Leo. The Leo Crescent Moon further points to the significance of Saturn as it is separating from a square to Saturn at the time of the solstice. This gives the solstice a more serious tone and signifies heavy thoughts necessary for our consciousness to confront and process. As Dane Rudhyar taught, at the Crescent Moon we must fight off the ghosts of our past and resist the regressive pull of the past, instead focusing on the vulnerable new sense of growth we are experiencing yet fear we do not have enough resources in our environment to support. The lesson of the Crescent Moon is to be present in our path and cognizant of whatever resources we do have around us and make choices to utilize the support available to us. Since the Crescent Moon of this Solstice is at the final degree of Leo, separating from a square to Saturn retrograde in Scorpio, working with the full spectrum of challenges in our environment without denial and with resolve to creatively find a solution will be most helpful. Amplifying the need to embody strength that recognizes our vulnerability is Chiron stationing retrograde on June 24, 2015 at 21°33′ Pisces. With Chiron beginning to station at the solstice it casts increased influence, even more so considering that Chiron is stationing opposite Black Moon Lilith in Virgo. The opposition between Chiron and Black Moon Lilith calls us to examine the rejected, oppressed, alienated, ostracized, or wounded in the greater collective as well as within our Self. Remember Chiron was rejected by his own parents and found healing and substance through taking in other abandoned youth and training them to develop and manifest their heroic capacities. As each day brings another global event highlighting racism, sexism, homophobia, and other forms of institutionalized oppression, within the crescendo of these traumatic events there is a movement growing stronger each day to refuse silence and become vocal witnesses to the tragedies surrounding us. Chiron stationing opposite Black Moon Lilith brings a transmutation of the inequality, discrimination, and persecution individuals experience in our society into a cathartic release of pain, anger, and emotion. This does not mean racism will end or everything will become instantly healed, but it does mean greater focus will be shone on both the roots and effects of this wounding, and as a result of increased awareness there can be a shifting of new movement toward greater understanding despite a lack of change and insistence on obstinacy in many. Yet this solstice is not all about heaviness, as there are also numerous optimistic, expansive, and visionary aspects happening. The heart of this dynamic energy centers around Venus in Leo applying to a conjunction with Jupiter in Leo, both also applying to a trine with Uranus in Aries. 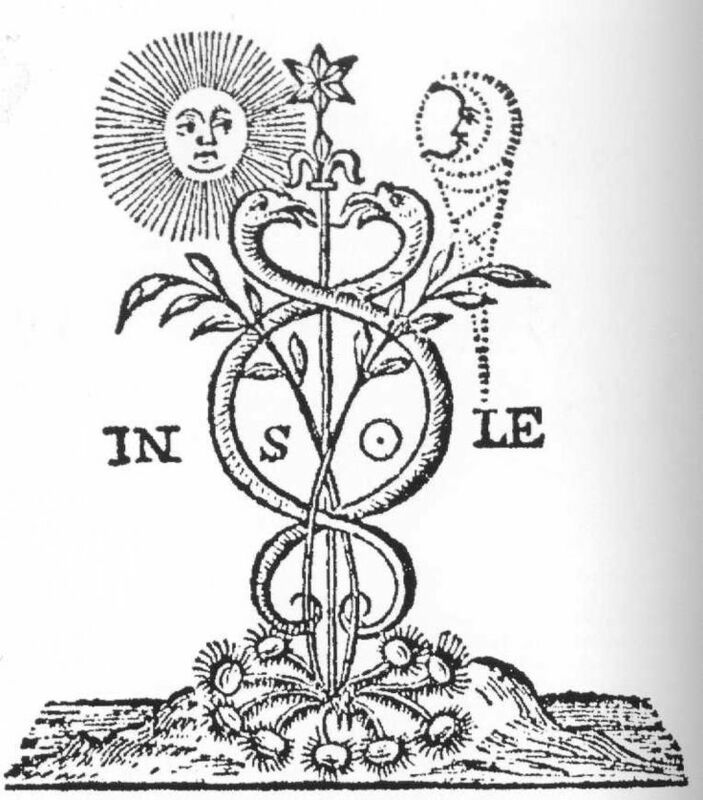 The day before the solstice on June 20 is especially auspicious along these lines, as the Moon will be in Leo and moving across conjunctions with Venus and Jupiter and through a trine with Uranus before coming into the square with Saturn at the time of the solstice. The trine between Jupiter and Uranus is almost exact at the solstice, and in fact will be exact the very next day on June 22, 2015. This brings extraordinary promise to the chart of this solstice and indicates we will have the ability to invent dynamic solutions to our present dilemmas in the coming season that can liberate us from our present predicaments. This also can be a season for collaborating with others of like mind or shared passion, and developing relationships with people on a similar path to our own who can be a source of inspiration and support to us on our journey. The sheer beauty and brilliance of Venus and Jupiter at night is something to relish and savor in the weeks ahead. It is easy to see why Venus and Jupiter were labeled as our benefic planets in ancient astrology when we experience their white light these nights, and each day from the solstice they will get closer and closer to one another in the night sky until they climax around June 30 to July 1, 2015 at 21-22° Leo. The alignment of Venus with Jupiter at this solstice lends us rays of promising hope no matter how challenging our current circumstances. It is fitting they are uniting in the sign of the Sun, as at the Cancer Solstice we celebrate the return of the Sun in the Southern Hemisphere and the peak of the Sun in the Northern Hemisphere. Look to see what aspects Venus and Jupiter are making in your chart and what house they are passing through. Whatever house they are passing through can help you realize how to make best use of the gift they are offering. So many of us hold ourselves back from our power and our own beauty- if you have been acting this way Venus and Jupiter now want you to release yourself into an experience of your radiant Self. 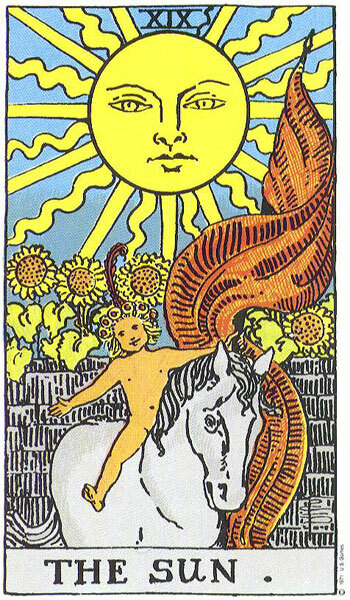 Venus in Leo holds another message for us in the chart of the Cancer Solstice with a far reaching impact, as Venus has entered its retrograde shadow zone at the time of the solstice. Venus will station at zero degrees of Virgo on July 25, 2015 and then will eventually station direct on September 6, 2015 at the exact same place Venus is located at the time of this Cancer Solstice. I’m not sure if Venus needed her upcoming retrograde to be even more higher status than normal, but in my book the amazing alignment of this Cancer Solstice chart with the eventual stationing of Venus at the end of her retrograde is a profound sign of the deep rooted changes that will coincide with the upcoming Venus retrograde. Now is a good time to begin looking at your chart and noticing the house Venus will be passing through retrograde and aspects made during her journey into the underworld and back again. Speaking of being in the underworld, Mars is still only a couple degrees away from the Sun at the time of the solstice. As a result, another important message held by this Cancer Solstice is the new cycle between the Sun and Mars, and the implication of their new cycle beginning in the sign of Gemini. It seems the new Mars cycle will be about sharing and communicating new ideas, with the mutable energy of adaption and being flexible enough to shift in response to new perspectives. Whatever new sense of Mars we are coming into now, we are at an early manifestation of it that could feel difficult to fully embody this soon in the evolving process. Using the old astrological theory that a planet is under the beams of the Sun up until fifteen degrees away, Mars will re-emerge with a message from this process around August 4, 2015 when it will be at the end of Cancer in trine to a Saturn in Scorpio that will have recently stationed direct. At the very end of August on August 31, we will have another conjunction between Mars and Venus, this time with Venus retrograde, around fifteen degrees of Leo. Thus it seems there is a huge transformative process involving Mars underway at this solstice. 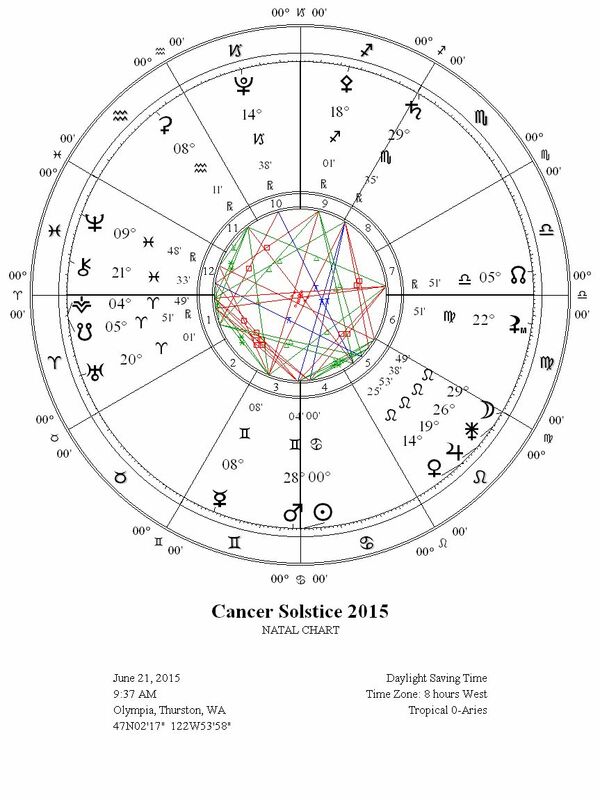 The final aspect of this Cancer Solstice chart I want to highlight is one of the most significant: Mercury in Gemini square to Neptune in Pisces. This is the third and final square between Mercury and Neptune in this cycle, with the first occurring on May 9, 2015 with Mercury direct and the second occurring on May 28, 2015 with Mercury retrograde. At the third pass we have greater understanding what this square has meant for us, well about as much certainty as is possible with an intense aspect between Mercury and Neptune. The square will become exact on June 23, 2015 but is applying closely at the time of the solstice making it one of the most potent aspects of the solstice chart. With Mercury and Neptune in the mix there are multitudes of possible ways this could impact you, from upwelling of artistic inspiration to deflation associated with disillusionment or an unveiling of dishonesty. When we consider the significance of the new Sun and Mars cycle occurring in Gemini, and that later in this year there will be incredible mutable energy with Jupiter in Virgo, the lunar nodes in Pisces and Virgo, and Saturn in Sagittarius, it seems this square between Mercury and Neptune is a vital re-alignment of the manner in which we are discerning meaning in our lives. Allow your mind to take it all in without over-rationalizing or restricting your thought process: as legends suggest, there is magic afoot at this Cancer Solstice and Mercury is in position to help us perceive a key insight to carry forward in the season ahead. Your cousin Phil used to tell me about Pisces’ triple archetype: the Martyr being among the three, I believe. Are you familiar with this concept, Gray? Not to isolate one element of this Solstice event, but it occurs to me that Chiron retro in Pisces may also be gathering energy to go direct again, collectively helping to transform us from one aspect of Pisces (the part that is still attached to persecution in some form) to another. I would love to hear your thoughts on this if it at all makes sense to you. Aloha, and thanks for your ever-informative posts. This makes sense to me. Mars will also be moving across to come into trine with Chiron as it makes really intense, potentially truly difficult, aspects by opposing Pluto and in square to Uranus. Yet bringing in Chiron like you suggest, perhaps this could be a blow up into chaos for a re-ordering like you suggest. Thanks for sharing! 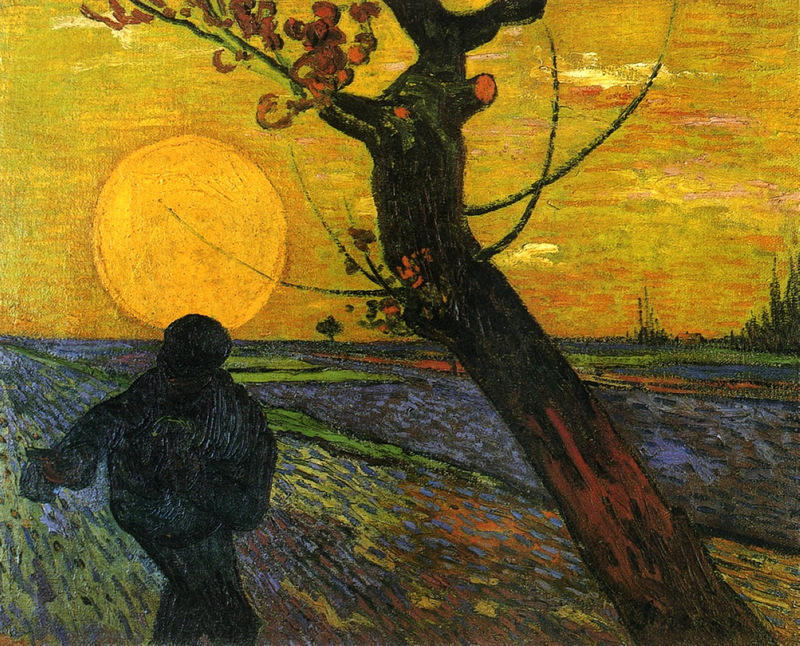 I always love your choice s in imagery to reinforce themes expressed through the current planetary aspects.These images of the sun are perfect for the solstice.It is funny that this time you have chosen my two favorite artists. Both of thier lives were fraught with the deepest despair. They plunged into the depths of the unfathomable of the soul, never able to escape the pain and anguish they lived.They ushered in the move from impressionism to expressionism. This new movement was concerned with the use of color as a means to reflect what the artist felt emotionally. I think to a large degree that is also what is happening collectively. We are all moving towards an Expressionism in life. Our feelings will no longer be separated from others or ourselves. It will dictate what we think say and do. It is no longer enough to live in the impression of the world at large, we have now internalized it and we are at the point of release. It is a bit like Chiron opp. Black moon and the Sun Mars conjunction in the chart. Thank you so much for your insights, so well written and your depth of knowledge in the mystery of the universe. You shine as bright as rhe sun. Thank you again for your compliments. It is true I was drawn to using both of these artists, but I had not elucidated a mental framework for their inclusion as you have expressed here. I appreciate your interpretation!